Kids size. 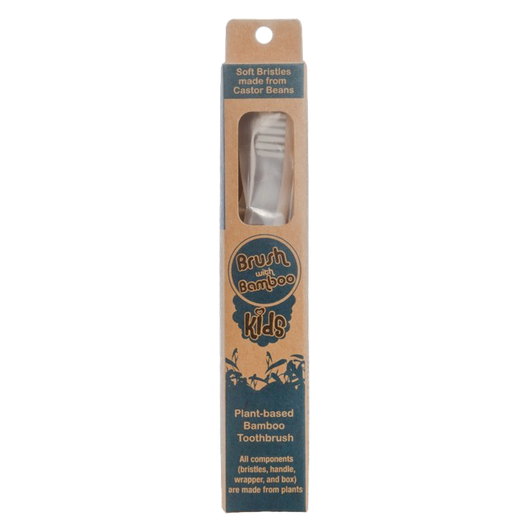 Soft bristles are made from a base of 62% castor bean oil, made in the USA. Handle made from The handle is made from 100% bamboo, made in China.